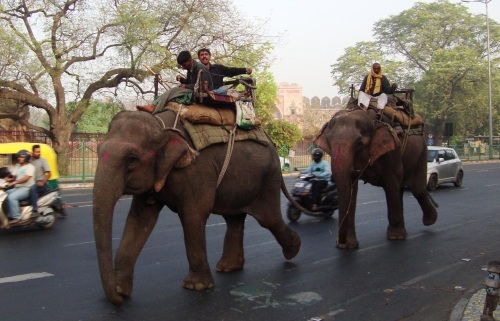 Elephants can be found to live peacefully even in the ‘urban corridors’ of the NCT of Delhi. The Indian Wildlife Club in an attempt to spread the message of conservation & environment education organises an online chat session every month – moderated by a chosen personality from a chosen field. This free wheeling chat is an opportunity to get first hand knowledge on various topics of interest to wildlife and nature lovers. The chat room will open for one hour on the 17th of June, 2012 between 7.30 PM (IST) and 8.30 PM (IST). This month’s topic for chat is “Human-wildlife Conflict” and will be moderated by A. Christy Williams Ph.D. A. Christy Williams is an elephant biologist working with the WWF Asian Elephant and Rhino Program.